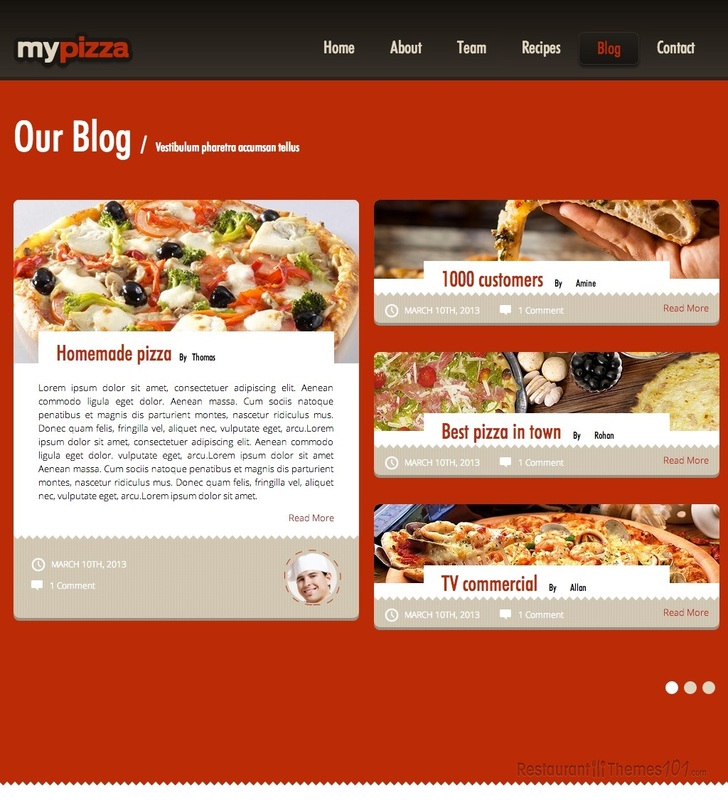 Mypizza is a responsive HTML pizzeria restaurant template developed by uThemes and presented at Mojo Themes. 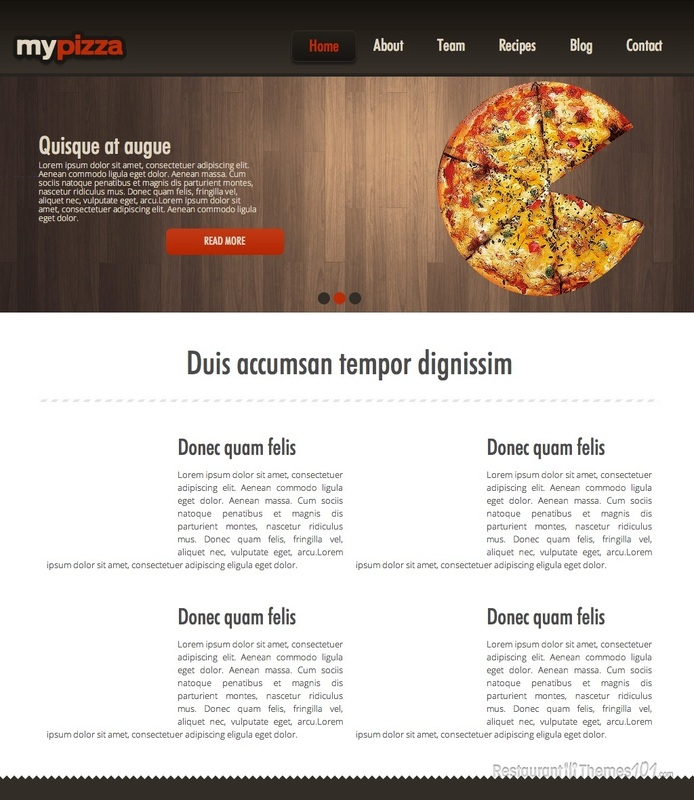 This is a one page template that contains all the elements needed for a great restaurant website. If you were wondering about the colors of this template, rest assure your content will be the attention grabber here, because the template is clean, bright and white with nice black elements. 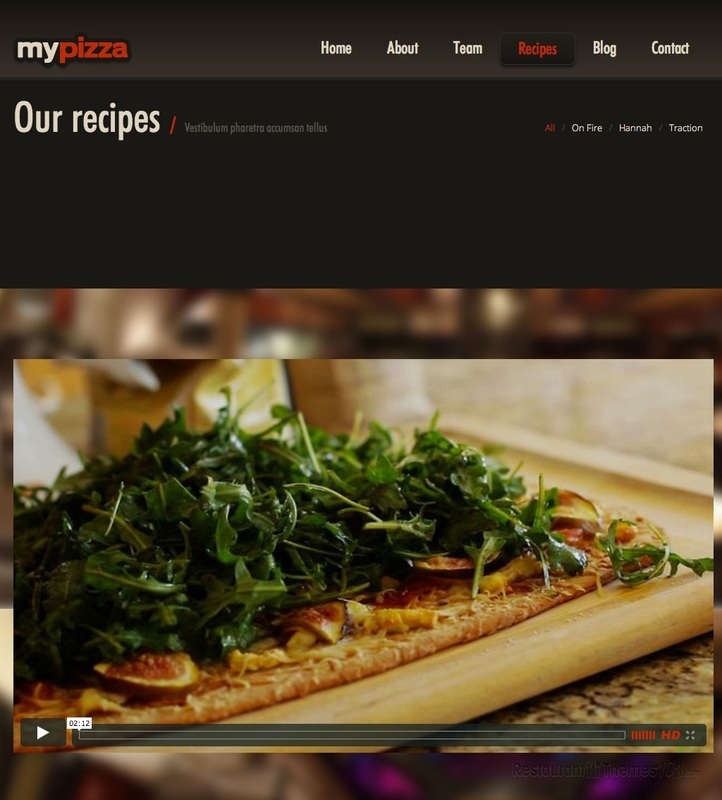 The very top of the layout is enhanced with a full width slider where you can place photos of your delicious pizzas with some teaser text and a “read more button” which will take your readers straight to the area where they can read all about the delicacy that caught their eye. The next section is reserved for presenting all the services you provide to your customers with text and nice icons. 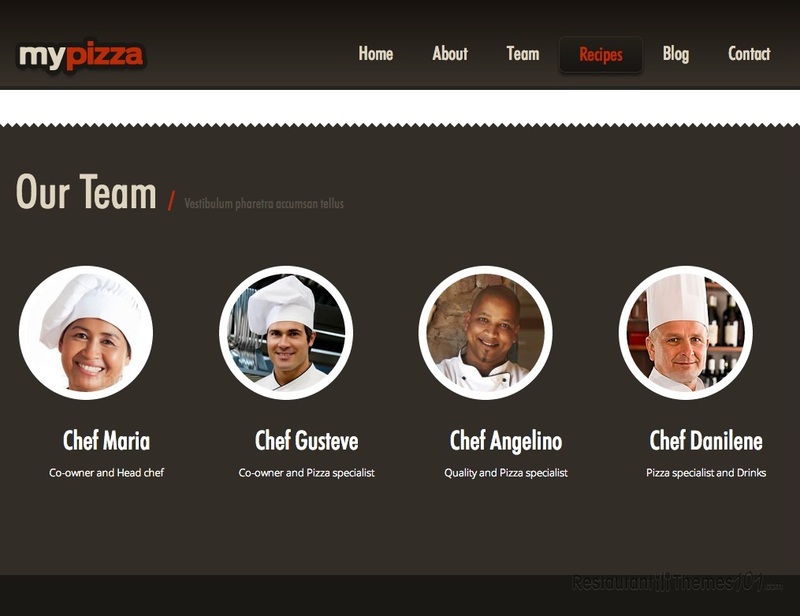 This template lets you introduce your staff and place photos of the team that makes your pizzeria so awesome. You will be able to even post HD videos with your recipes and show your visitors how you manage to make all these delicacies. The blog area is there for you to go wild with posts and present your food and services as detailed as you want to. Tell your guests all about the history of a certain pizza type; tell them exactly how you prepare it and make their mouth water at the sight of all these tasty meals. There is a contact area included with Google Maps featured placing a map with your restaurant’s location on your website so everyone can easily find it, even out-of-towners. A simple contact form is added for easy and quick interaction with your visitors. Social integration was not left behind: this template will allow you to connect your website to some of the most popular social networks. Being a completely responsive HTML Italian restaurant template, Mypizza is going to look pixel perfect no matter what device it is used from. 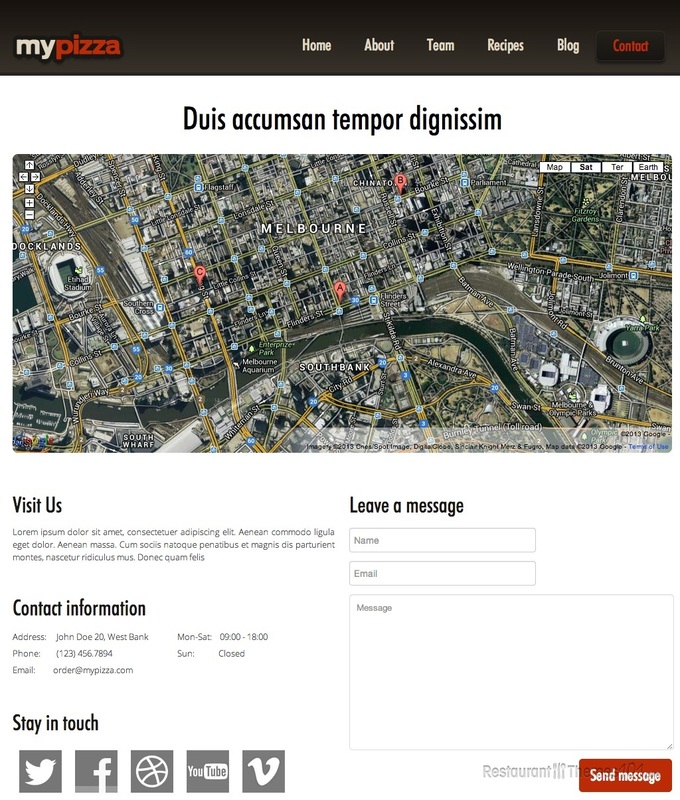 The template offers many customization possibilities, allowing you to create a unique website all by yourself.